Russian President Vladimir Putin has carefully cultivated a tough-guy image, but the reality, at least in terms of his response to Jihad has been something different. Many in the US assume that Putin will act forcefully to punish those who were behind the two Islamikaze bombings in Volgograd this week, but history tells us that he won’t. Many in the West assume simple-mindedly that the Jihadist assault on Russia is tied to separatist “rebels” in Chechnya. But Jihad goes way beyond localized disputes and the Jihadists don’t just have their sights set on Chechnya; they see the site of the Summer Olympics in Sochi as Muslim territory stolen by Russia as well. A Sufi Muslim who favors polygamy and veils for women, some analysts say that in return for quelling rebel attacks, the Kremlin has let Kadyrov usher in his radical vision of Islam, which often contradicts Russia’s secular constitution. A 2007 edict that bans bareheaded women from entering state buildings is strictly observed today, as are periodic alcohol bans. Kadyrov has said he wants to install Islamic Sharia law in Chechnya. In other words, Putin’s response has been what many would term appeasement. Given that the Jihadists’ goal is the imposition of Sharia, installing a pro-Sharia leader in Chechnya is not exactly taking a hardline against Jihad. • In May 2002, a bomb exploded at a World War II victory parade in Kaspiysk, Russia, part of Dagestan. 44 were killed, including a dozen children and 133 were wounded. 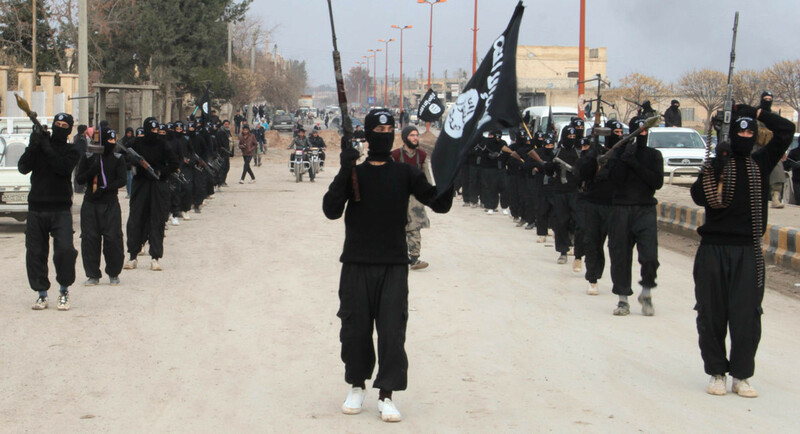 An investigation determined that Russian soldiers had sold the explosives to the Jihadists who carried out the attack. • On 27 December 2002, Chechen Jihadists drove two explosives-laden trucks into the heavily-guarded government headquarters in Grozny, Chechnya in Russia. 83 died in the subsequent explosion. 210 were injured. • On 12 May 2003, three Islamikaze bombers, including two black widows, exploded a truck bomb at the headquarters of Russia’s FSB (Federal Security Service) in Grozny, Chechnya. 59 were killed and 200 injured. • On 5 July 2003, two black widow Islamikaze bombers detonated suicide bombs at a rock music festival in Tushino, Russia. 15 were killed, 60 injured in the attack. • On 5 December 2003, an Islamikaze bomber detonated a suicide bomb on a commuter train in Stavropol Krai, Russia. 46 people were killed and 170 injured. • On 9 December 2003, a black widow Islamikaze bomber detonated a suicide bomb in Red Square in Moscow, killing 6 and injuring 44. • On 6 February 2004, an Islamikaze bomber detonated a suicide bomb on a Moscow Metro subway, killing 41 and injuring 120. • On 9 May 2004, a bomb ripped through a stadium in Grozny, Russia in Chechnya during a World War II Victory Day Parade, killing 30 and wounding 56. • On 24 August 2004, Islamikaze bombers detonated bombs on two Russian airliners. 43 were killed on one aircraft, 46 on another. • On 31 August 2004, a black widow Islamikaze bomber detonated a suicide bomb in a Moscow Metro subway station, killing 10 and wounding 50. • In September 2004, Jihadists seized a school in Beslan, Russia, taking over 1,100 hostages. Again, the Russian security services bungled the response and the outcome was well over 300 dead hostages, most of them young children. This remains perhaps the most horrifying Jihadist attack of modern times, with images of wounded and dying children forever etched in the world’s memories. Putin remained silent during the crisis and released only a brief statement in its wake. He also declined to meet with any of the families of the victims. • On 6 November 2008, a black widow Islamikaze bomber detonated a suicide bomb at a taxi stand in Vladikavkaz, Russia, killing 12 and injuring 41. • On 17 August 2009, an Islamikaze bomber detonated a car bomb in Nazran, Ingushetia, Russia, killing 25 and injuring 164. • On 27 November 2009, a bomb planted by Jihadists exploded under a moving train between Moscow and Saint Petersburg. The train derailed and 27 were killed and 95 injured. • On March 29, 2010, two black widow Islamikaze bombers detonated suicide bombs in two Moscow Metro subway stations. More than 40 were killed and over 100 wounded in those attacks. • On 31 March 2010, two Islamikaze bombers detonated suicide bombs Kizlyar in Russia’s Dagestan province, killing 12 and injuring 18. • On 26 May 2010, a bomb blast before a music concert in Stavropol, Russia killed 8 and wounded 40. • On 9 September 2010, an Islamikaze bomber detonated a suicide bomb in the central market in Vladikavkaz, Russia killing 17 and injuring 160. • On January 24, 2011, an Islamikaze bomber detonated a IED inside the passenger terminal of the Domodedovo International Aiport in Moscow, killing 37 and wounding 173. • On 3 May 2012, two bombs exploded in Makhachkala, Russia in Dagestan, killing 14 and injuring 87. 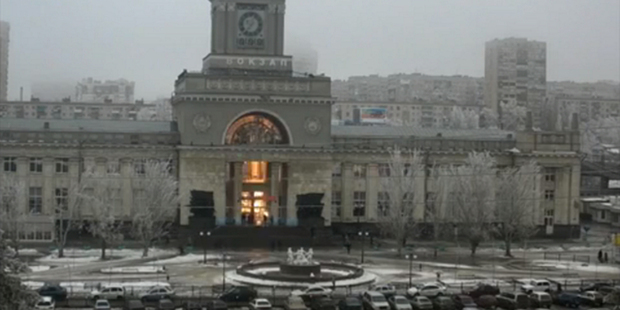 This morning a female Islamikaze bomber struck a rail station in Volgograd, Russia, killing at least 16 people. For hours there was scant coverage of this Jihadi attack in the US news media, but foreign news organizations did manage to fit in coverage of the event. A spokesman for the nation’s top investigative agency said the bomb appeared to have been detonated as the attacker approached a metal detector at the entrance to the central railway hub in the city of Volgograd. 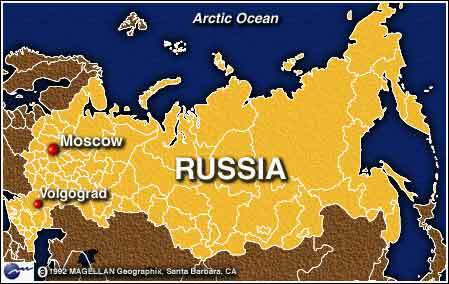 This is not the first time Jihadists have targeted a transportation hub in Russia. A few years ago they detonated a bomb in a Moscow airport terminal. It should also be pointed out that the FBI intercepted a plot earlier this month in Wichita, Kansas in which a Jihadi sought to bomb an airport terminal. The point here is that, as security services seek to tighten access to airplanes and trains, which have been targeted in the past, they are creating massive bottlenecks in passenger terminals, particularly at the security checkpoints that are ostensibly there to keep travelers safe. As a result, the Jihadis now target the lines of travelers in the passenger terminals themselves. While our 13 November 2012 post focused on airport security, the same clearly applies to rail security, as was so tragically demonstrated in Russia this morning. Mediaite points out that this attack comes just six weeks before the Olympics are due to open in Sochi, Russia. 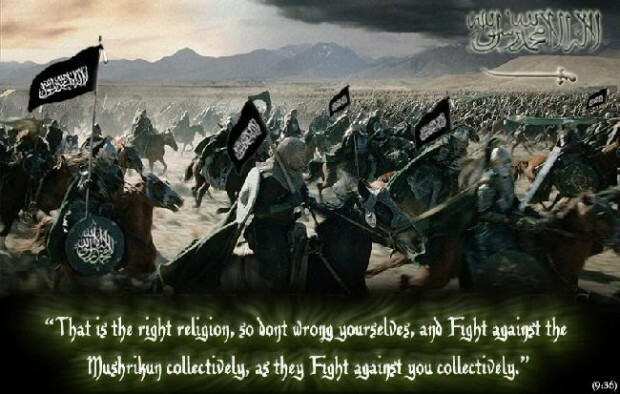 Jihadists have in fact threatened the Olympics. Be advised the legend and graphics have no meaning for the present situation. Map is shown strictly to show proximity of Volgograd, site of Jihadist attack today, to Sochi, site of Summer Olympic Games in 6 weeks. The UN Secretary General has condemned the attack (we’re sure the Jihadis are quaking in their boots over that). Note also that this is the second Islamikaze bombing in Volgograd in the past two months. Another female Islamikaze bomber blew herself up on a bus two months ago, killing 7 innocent victims and wounding scores of others. The Volgograd attack comes in the wake of threats by Chechen Jihadi terrorist Doku Umarov calling for new attacks against civilian targets in Russia, including the Sochi Olympic Games. Note especially that Russia has been victimized numerous times in recent years by Islamikaze bombers, including females. Also included is some general information on Russia’s extraordinary security measures to protect the Olympics, including measures that would never be approved of here in the US due to trespassing on civil liberties and the overt use of military forces on a direct, wide scale, as opposed to a support capacity. Hopefully the Russian measures will prove effective once the Olympics get underway. 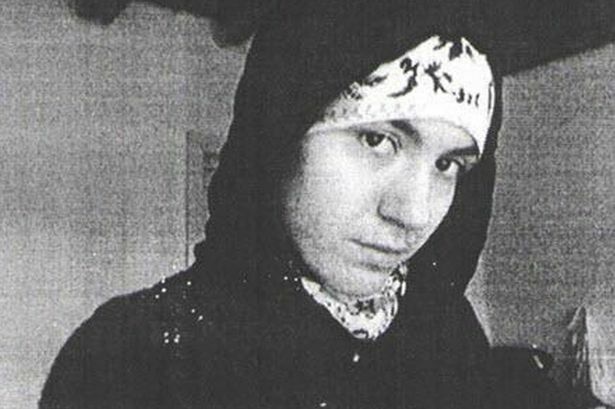 Russian authorities have tentatively identified the Islamikaze bomber as Oksana Aslanova, a Dagestani citizen whose husband was a Jihadi killed by Russian special operations forces. Evidently Aslanova was known to Russian authorities and she “got around,” having reportedly been married to other Jihadist terrorists as well. LATE ADDITION: Additional video footage of the attack.